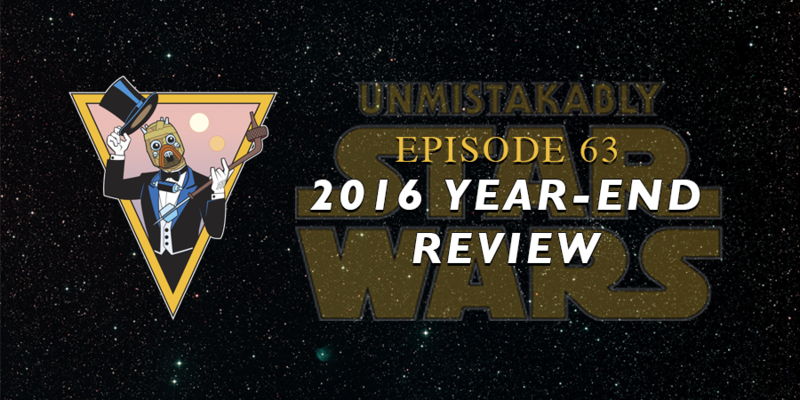 On this episode of Unmistakably Star Wars, Devin and Jeremy discuss the wonderful year of 2016 in Star Wars. Discuss who is the best droid. Consider the high points on Rebels Season 2 and Season 3. Try to agree on the highlights of the comics. Consider the impact of Rogue One. Talk about their top 3 Star Wars moments of the year.